There are 14 reviews of Escentric 02. Ambroxan, the brand name for ambroxide (grey amber) chemically is C16H28O, very close to Iso E Super's C16H26O. Ambroxide is one component of the luxury substance ambergris. Intial impression is also very, very light and airy, with a formaldehyde-like note hitting me like a comet every few seconds. I do smell a bare modicum of the muscone (artificial musk) which comes across as pretty "wet" and fresh; but barely the hedione (resembles jasmine) - or at least as I usually perceive it. Am I sniffing it too much, given that the development is so slow and subtle to my perceptions? I put more time between sniffs, and I now I get a scintilla of Iso E Super in there, as well as a tiny dab of dry vetiver. That's all I can I detect from this elusive concoction. As before, I won't criticize nor condemn the intentions of Escentric Molecules for making 02 - Ambroxan: I simply do not grasp and therefore appreciate what is attempting to be done here. It will NOT be something that I wear on the fly like other scents in my collection; rather, it will reside among my decants as a "to be determined" liquid that I can't really pin down at this present time. This is simply horrifying. Total scrubber. There goes my money down the drain... HOW can Molecule 02 be sooooo freaking amazing and Escentric 02 be soooooo damn bad ?! I wonder. Oh, I don't like this at all! Wet cardboard, cold green vegetable water. bleh! 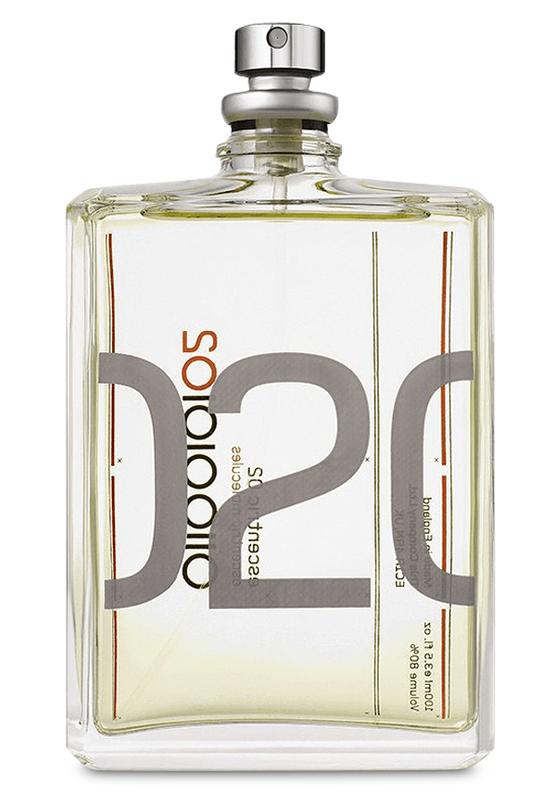 Very light with a woody background, very masculine and kinda "fresh" if you get a waft of it in your nose. Longevity is very good but projection is light. As others have said, the scent comes and goes. There are no member images of Escentric 02 yet. Why not be the first?